Click on the Add New Layer button. A window with three options will appear. 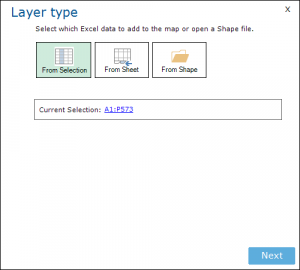 You can use a (pre-) selected range to add as a map layer, an entire Excel data sheet, or a vector map layer in Esri Shape format. 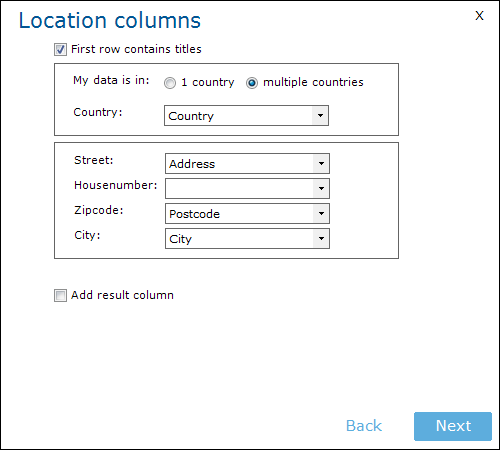 Select your data (From Selection or From Sheet) and click Next. 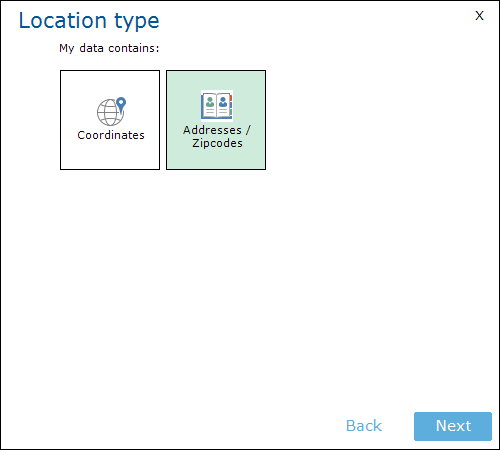 Select the Adresses / Zipcodes option. In the next screen, the names of the columns are shown. If E-Maps recognizes the column name, it will suggest it. If this is not the case, there is the option to select the column. 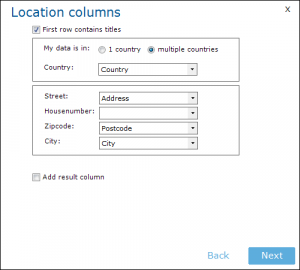 In the address column, the streetname and housenumber can be combined. 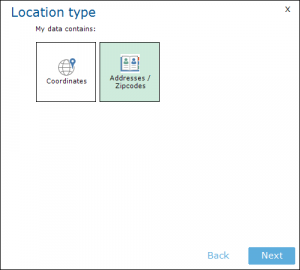 Tick the Add result column option, if you are interested in feedback about the geocoding quality. The Layer Options will appear. In this menu, you can give a name to the layer and select a color type. 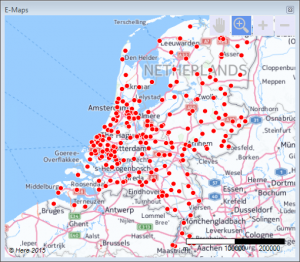 The map will appear with the selected data.